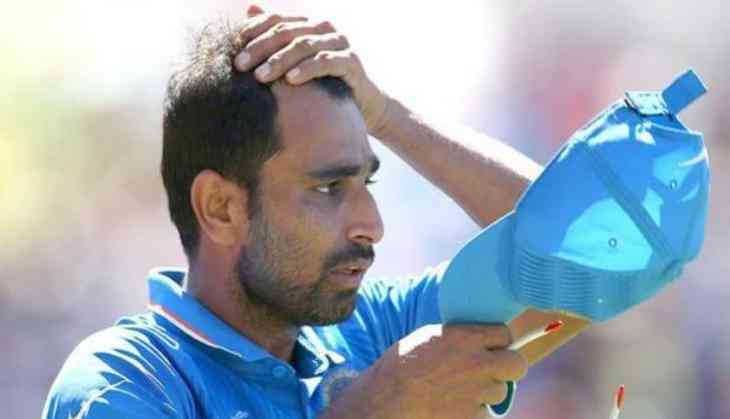 Mohammad shami's wife Hasin Jahan took the social media particularly the Twitter with a blow after a series of tweets she posted. Her tweets mentioned of the extra-marital affairs Shami has had. Also, she accused him of assault and domestic violence. Mohammad Shami has been denying all the accusations and has termed the whole story, a conspiracy. BCCI, however, took a decision over the matter recently and suspended Mohammad Shami's contract with BCCI. After board's stern action over the issue, there have been doubts about the possibility of Shami playing in the Indian Premier League 2018. As the IPL draws closer and closer, the curiosity in the minds of the fans has been rising exponentially. Rajeev Shukla, the IPL Chairman has made it clear that the player's fate will be decided after BCCI's anti-corruption body completes its investigation over the alleged corruption charges against Mohammad Shami. Neeraj Kumar, BCCI's ACU head, has been asked to investigate the allegations levelled by Shami's wife Hasin Jahan who had claimed that Shami had received unaccounted money from a Pakistani woman. “Our anti-corruption unit, headed by Neeraj Kumar, will investigate and give us a report. We are awaiting it. We are expecting the report shortly," said Shukla, a former BCCI vice president. Alishba, the concerned woman has accepted the fact that she met Shami in Dubai but denied any exchange of money as being claimed by Shami's wife Hasin Jahan. "We are not concerned over his private matters. As soon as he (Kumar) gives the report we will decide. The investigation is still on. It's Neeraj Kumar's job to investigate it," Rajiv Shukla added.